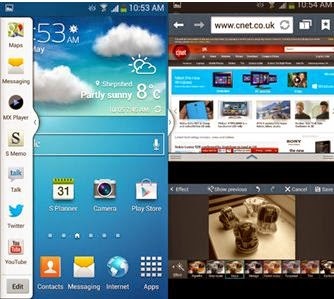 This content elaborates three recommended methods to deal with Internet and web browser issues with the Galaxy Note 4. Among the first three things you need to check and/or manage include browser cookies, temporary internet files and Java Script settings. Read on to learn more. 1. Open or launch the web browser. 2. Tap on the Menu icon (three-vertical-dots icon) located in the upper right. 4. Next, tap on Content settings from the Advanced section. 5. To enable or disable (on/off) Accept cookies, just tap on it. Try to toggle this option and see if it rectifies the issue. 2. Tap on the Menu icon. 4. Tap on Privacy from the Advanced section. 5. Tap on Clear Browsing Data. 6. Select the browsing options to clear from the Clear browsing data prompt, then tap Clear. Among the available options include Clear browsing history, Clear the cache, Clear cookies and site data, Clear saved passwords and Clear autofill data. When the option is selected, a check mark is present. Clear browsing history - clears browsing history from the web browser. Clear the cache - clears a list of URLs or website addresses that have been recently visited. Clear cookies and site data - clears visited website contents that are stored on your device. Cache allows the browser to download only the contents that have changed since the last time you visit the website. And because the browser only downloads changed content, pages are loaded faster thus resulting to fast browsing experience for the users. Clear saved passwords - clears login credentials (passwords) you've used to enter a previous site. You can also clear temporary Internet files by resetting the browser app but using this method will also clear all settings and preferences in your device. 4. Tap on content settings from the Advanced section. This is the continuation of the first part of our troubleshooting assistance on Samsung Galaxy S5 hardware issues, particularly those associated with the device's display. 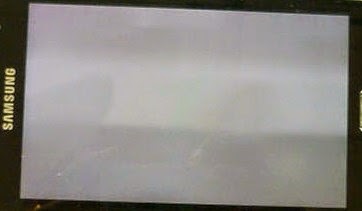 This is an image of a dead pixel display. The main issue that we are trying to deal with in this content is on a dead pixel display of Samsung Galaxy S5. It's when the device shows black and/or colored dots on screen. Refer to the given dead pixel image above. What could have possibly caused such problem? Display issues like this typically occurs on any device that have been used for quite some time already. However, it could also occur especially when some type of physical or liquid damage is present on the device. In some cases, the screen may appear dead but is actually just stuck more likely because a third-party app is triggering the display to get stuck or frozen. If this is the first time you encounter such problem on your device, then the first manufacturer-recommended workaround would be a soft reset. A mere simple reboot has been known to resolve several device issues, which means this too, could work in this case. If you haven't yet tried performing a soft reset on a device that is stuck or not responding, then you can just remove the battery with the phone still on, wait for 30 seconds and the re-insert the battery, then power on the device. If dead pixel only occurs on your device while using certain application, then most likely, that application is the culprit. Try to uninstall that application and see if the problem is fixed. If the problem persists after uninstalling a third-party app, then your last resort would be a factory data reset. This means resetting your Galaxy S5 to factory defaults. And remember, doing so will remove all your personal information stored on your phone, including customized settings and contact details. Personal information cannot be recovered after the process. In this regard, we strongly recommend creating a backup of all necessary information you've stored in your device beforehand. 1. Turn of your phone. 2. Press and hold the Volume Up, Home and Power buttons simultaneously. 3. When the phone vibrates once, release the Power button but keep pressing the Home and Volume Up buttons. 4. When the Android System Recovery screen shows, release the remaining two buttons altogether. 5. Now press the Volume Down button to highlight Wipe data/Factory reset. 6. To select the option, press the Power button. 7. Scroll to Yes - delete all user data using the Volume Down button, the press the Power button to confirm master reset on your device. 8. After the hard reset is complete, you should see the Reboot system now will be highlighted. 9. Press the Power button to reboot your phone. If all else failed to fix the problem and dead pixel still appears after the hard reset, then you still can save your device by taking it out for physical repair. This is one of the most common power-related problems any Samsung Galaxy S3 owner may encounter. I have received reports from some owners saying that their phones are completely dead and won't respond when the power key is hit. When asked how the problem started, they just said that their phones just shut down one day and refused to come back on. The problem may be caused by a serious glitch in the firmware but there is also a big chance it's a hardware issue. Basic troubleshooting is required to know what the cause really is and to determine how far the phone can go if powered on successfully. But as for me, if the phone powered on, that's almost a solution. Step 1: If Samsung Galaxy S3 refuses to turn on, plug it in to charge for several minutes. This is necessary to rule out the possibility that it is just a drained battery issue. Either the phone displays the charging icon and lights up red LED notifications or doesn't respond at all when plugged in, just leave it for at least ten minutes. Once the time elapsed, attempt to turn the phone on. If not successful, proceed to the next step. Step 2: Pull the battery out and then press and hold the Power key for 1 minute. It may sound absurd but it's worth a try. This particular procedure is often referred to as "soft reset" as it drains electricity stored in capacitors and other electronic components inside the phone. Basically, it refreshes the phone and for minor glitches, it's very effective. It is necessary at this point since we don't know what the problem is and how serious it is. Step 3: Find out if the phone can boot in safe mode successfully. You are going to do anything if the phone boots up in safe mode. Rather, you just want to find out if the phone can because if it capable of doing so, you can rest assured that it's not a hardware problem. Now, once the phone booted in safe mode successfully, just press and hold the power button and touch "Restart" to boot the phone normally. Step 4: Find out if Galaxy S3 can boot in recovery mode. You only do this if the phone couldn't boot in safe mode or got stuck when restarted from safe mode. Still, this will tell you if there's a problem with the hardware or not. If there is, then the phone shouldn't be able to boot up in any mode. If the phone, however, can successfully reach the recovery mode, then consider the problem as fixed since you can both wipe cache partition as well as perform factory reset in this state. Step 5: Send the phone in for repair. I would like to suggest you check the battery for any deformities, lumps or swelling but if there are any, then you should have noticed it when you pulled the battery out in step 2. If it isn't the battery that is at fault here, there is a big chance it's the USB charging port. It's a component that serves as a bridge for electricity as it receives current from the charger to the battery and from the battery to all components. All you need is basic troubleshooting and once you find out the problem is with the hardware, there's nothing much you can do about it. I suggest you seek help from a technician but if the repair would cost almost a brand new phone, then perhaps it's time for you to upgrade. I would love to hear your opinion or if you have concerns, leave a comment below. This article contains standard resolution procedures and workarounds to deal with hardware problems on Samsung Galaxy S5, particularly issues associated with the device's display. Solutions that are provided in this page are manufacturer-recommended procedures that are generally applicable to every GS5 device model/variant. So regardless of which carrier you're from, you can use this troubleshooting guide to fix the same hardware issues with your S5 handset. Five different display issues will be covered in the entire part of this troubleshooting guide. These issues are those encountered by most Galaxy S5 users, including blank display, dead pixel, cracked or broken screen, bleeding screen and unresponsive display. Let's start troubleshooting a display issue in which the device is showing only a blank display/screen. Please don't forget to test your device after completing each recommended resolution procedure or workaround to see if that has fixed the problem. Proceed to the next available procedure when necessary. Here the manufacturer-recommended resolution procedures/workarounds for Galaxy S5 blank display issue or when the entire screen is blank with the backlights coming on but you do not see anything from the display. Blank display could be due to a device's battery that is completely drained, or your phone doesn't have enough charge to power on. Another possible cause is a third-party app that makes your phone unresponsive, or worst, physical or liquid damage is present on your device. The first suggestions would be based on the possible solutions so first, try to connect your device to its charger and wait for a few minutes for it to charge, and then power it on by pressing and holding the power button. If it powers on but appears to be unresponsive or not responding to touches, then try to use the hardware keys to run it in safe mode for third-party app diagnostics. Running in safe mode can help you determine if a third-party app is causing your device not to respond. If so then, remove the app that's causing conflict. Another thing you have to consider is a possible physical or liquid damage on the phone is causing the problem. 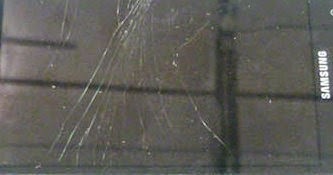 If you found out that a damage is present, then you should take it to a service center to get it fixed. You can also try performing a soft reset on your device. A soft reset is done by simply restarting (turn OFF/ON) the phone. This method is often used to fix several device issues -- mostly on software, but also on some hardware-associated. a. Remove the battery with the phone still ON. b. Wait for 30 seconds, then re-insert the battery. c. Power on the device. You can proceed with uninstalling third-party applications if your device powers on. If not, then your next option is to take your device to a service center for repair. That is if you still have a blank display after performing the aforementioned procedures. Please keep posted for the continuation of this troubleshooting guide on Samsung Galaxy S5 hardware (display) issues to be published later on. Screen Mirroring is one of the popular and commonly used features of the Galaxy devices including the new Samsung Galaxy Alpha. 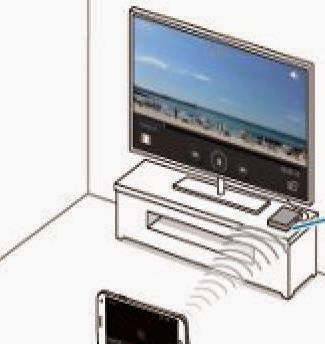 With this feature, you can wirelessly beam your photos, videos, presentations or video games from your mobile device to your television screen. When screen mirroring is activated, you can connect directly to a supported Samsung Smart TV or connect to any HDTV using Samsung HomeSync. In order to know if your television is compatible with Screen Mirroring or supports the feature, please refer to your TV user manual first. If your TV supports Screen Mirroring, then you may now start with the following settings configuration on your Galaxy Alpha and on the Smart TV. 1. Get your Smart TV's remote control. 2. Use the remote control to access Menu. 3. Next, go to Network. 4. Select AllShare Settings to continue. 4. Touch the slider next to Screen mirroring to turn the feature ON or enable it. When the feature is activated or enabled, your device will now be connected and share the screen automatically. Another way to use screen mirroring is using Samsung HomeSync application on your Galaxy Alpha. Simply touch on the More options icon (three-vertical-dots icon) and then tap on Screen Mirroring. 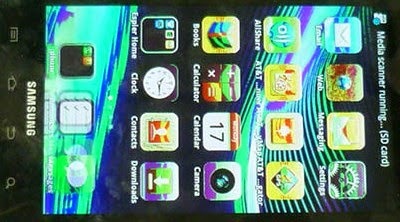 Your phone's screen will now be displayed or mirrored on the television or another monitor. You can use the Notification Panel to disconnect from Screen mirroring on your phone. To open the notification panel, swipe your finger from the top of the screen to the bottom, and then touch to select Screen Mirroring is enabled. Touch End connection to end the connection and deactivate or disable Screen mirroring, or touch the ON/OFF slider to turn the feature OFF. And that's the basic things every user should know about the screen mirroring feature on the Galaxy Alpha. More Galaxy Alpha guides to follow soon. Advanced Wi-Fi settings of your Galaxy Note 4 is where you can set up and manage wireless access points. Read on to learn how to properly configure available device options for wireless connection. 3. Tap on Wi-Fi to continue. 4. If necessary, tap the On/Off switch to turn Wi-Fi on. Please note that you need to turn on or enable Wi-Fi to configure advanced settings on your device. 5. Now, tap on the More options icon (three-vertical-dot icon) to view more options. 6. Tap to select Advanced. Under Advanced settings are the following settings options for your wireless network configuration. a. Network Notification - this option when enabled, lets your phone alerts you when a new Wi-Fi network is available. b. Passpoint - this option when enabled, lets your phone connect to passpoint-enabled Wi-Fi network automatically. c. Sort by - this option lets you select a sorting order for wireless networks on the Wi-Fi screen. d. Keep Wi-Fi on during sleep - this option lets you specify when to switch from Wi-Fi to mobile data for data communications when the phone goes to sleep or when the backlight goes out. This option however, will affect data usage as well as on how other connected devices to your phone does whne you use your phone as a hotspot. 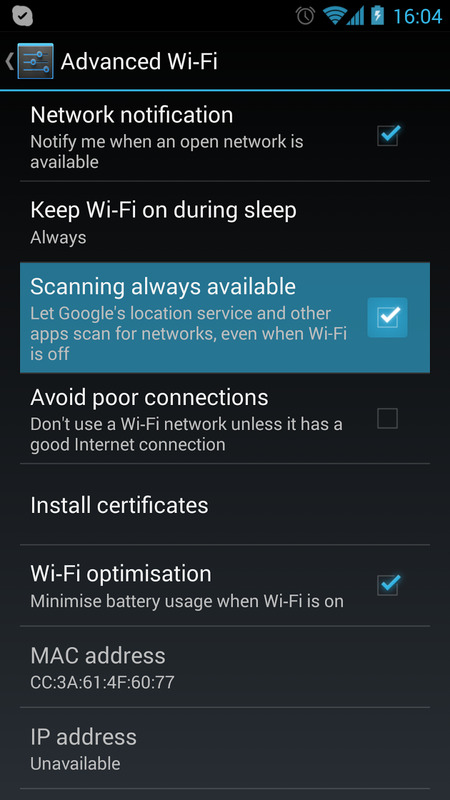 e. Always allow scanning - when turned on, this option lets your phone allow Google location service and other applications to scan for networks even when the Wi-Fi is enabled. f. Smart network switch - when turned on, this option lets your phone automatically switch between known Wi-Fi networks and mobile networks. Know Wi-Fi networks are those networks that you have already connected to. g. Wi-Fi timer - when enabled, this option lets your phone automatically connect to or disconnect from a Wi-Fi network using the Starting time and Ending times you have set. h. Install certificates - this option can be used to install the certificates if you have certificates stored on an installed optional memory card. i. MAC address - this option cannot be configured. You can only use this to view your phone's MAC address, which is a requirement for connecting to some secured networks. j. IP address - similar to MAC address, the IP address option is not configurable or cannot be changed. You can only use it to view your phone's IP address. IP address is often used as reference for more advanced wireless troubleshooting for mobile devices including your Samsung Galaxy Note 4. And that covers everything in this guide. More similar contents/tutorials on Samsung Galaxy Note 4 will be available in this site soon. Stay tuned. Wi-Fi Calling is among the features offered to T-Mobile customers of Samsung Galaxy Note devices including Note 3 and Note 4. It's considered an excellent solution for coverage issues in and around the house or any place where cellular coverage is limited. Wi-Fi calling is enabled by default. This means your device will connect automatically after you successfully connect to a wireless network. This guide will help you manage Wi-Fi Calling feature on your Galaxy Note 4 T-mobile version. 1. Enable Wi-Fi and connect to a Wi-Fi network. 2. Tap Apps from any Home screen to continue. 4. Scroll to Network Connections. 5. Tap to select More networks. 6. Slide the Wi-Fi switch right to the ON position, if necessary. 7. Tap on Wi-Fi Calling. 8. Tap on Connection Preferences. 9. You will be prompted with these options: Wi-Fi Preferred, Cellular Network Preferred, and Never Use Cellular Network. Select one of the given options. 3. Tap Wi-Fi under Quick Settings. 4. Tap the Wi-Fi switch to the On position if necessary. When the Wi-Fi is on, the switch moves right and turns green. 5. Now tap the Wi-Fi network you want to use or connect to. 6. Enter the network password, if prompted. 7. Tap Connect to continue. a. Tap the Menu key in the upper right corner of the screen. b. Tap Scan. Doing so will initiate scanning for wireless network(s) in range. Just wait for it to complete then select the network you want to connect to. Alternately, you can simply tap the + sign or Add Wi-Fi network, to add a network manually. 1. Enable Wi-Fi and connect to a network. c. Tap on Wi-Fi under Quick Settings. d. Tap the Wi-Fi Switch to the ON position. e. Tap on the Wi-Fi network you want to connect to. f. Enter the password if prompted. c. Scroll to and tap on Network Connections. d. Tap to select More networks. e. Tap the Wi-Fi Calling switch to turn the feature on. You will know if it's on when the switch moves right and turns green. After you have successfully enabled both Wi-Fi and Wi-Fi Calling, you can now use Wi-Fi calling on your Samsung Galaxy Note 4 device. Don't want to get bothered with anymore spam messages on your new smartphone? We'll, why not block them in the first place? Read on to learn how to block incoming spam messages with this guide. This content will help you block SMS and MMS messages on your Samsung Galaxy Note 4 device. Read on to learn more. The Galaxy Note 4 offers you with different methods to block incoming text or picture messages (SMS or MMS) or mark them as spam. All you need is to configure some settings in the Messages application and get your new phone free from spams. Here's how. a. Tap on Messages from the Home screen. b. Touch and hold the conversation thread from the number you want to block. c. Now tap the Remove from spam icon located in the upper-right corner. b. Tap the Menu key to continue. c. Tap to select Settings from the given options. d. Tap on Spam Filter to select or mark the check box. e. Now tap Add to spam numbers. f. Next, tap the plus (+) sign. g. You may choose to block a number by selecting the number from Contacts or by manually entering the number to block or mark as spam. h. Tap on Save when finished. If you've marked or tagged a number as spam unintentionally, then you can just unblock that number to allow incoming SMS or MMS from this number. 1. Tap Messages from the Home screen. 2. Touch and hold the conversation thread from the number you want to unblock. 3. Now tap the Remove from spam icon located in the upper-right corner of the screen. 2. Tap the Menu key located on the upper-right corner of the screen. 4. Tap on Spam filter to select or mark the check box. 5. Next, tap on Add to spam numbers. 6. Touch and hold on the number you want to unblock. 7. Tap on Delete to remove that number from the block list. 8. Tap OK to confirm action. And that covers everything in this tutorial on how to block/unblock messages on your Galaxy Note 4 device. Hope this has shed some lights to you. Creating backups of important files or documents on your smartphone is highly recommended to avoid data loss in the future and for easier restoration of files after performing a hard reset on the device. This guide will walk you through backing up images, videos, audios and documents on Samsung Galaxy Note 4 via Verizon Cloud. Verizon Cloud is a service that offers secure cloud storage to back up and sync contents on your mobile device via wireless network. With Verizon Cloud, you can sync between your tablet, computer, phone and other devices and ensures availability of your contents virtually anywhere you want to access or manage them. This is especially useful to keep your files safe and secured, if you lost or damaged your phone. Follow these steps to back up files using Verizon Cloud on your Galaxy Note 4 Verizon device. Note: You may need to download and install Verizon Cloud app if you don't have it yet installed on your device. 1. Tap the Navigation Menu icon from the Cloud app main screen. 2. Scroll to and tap Settings to continue. 3. Tap What to back up under Settings. 4. Tap to check the boxes next to the files you want to back up like Photos, Contacts, Videos, Music, Documents, etc. 5. After checking the the boxes of all files you want to back up, tap OK.
6. Tap the Navigation Menu icon on the upper-left corner of the screen next to Settings. 8. Now tap the Menu icon (three-vertical-dots icon) located on the upper-right corner of the screen next to Verizon Cloud. 9. Tap to select Back up now from the given options. Doing so will back up all selected files on your Galaxy Note 4 using with Verizon Cloud. When your files are backed up, the backup copies will remain in the cloud even when you delete them on your phone. There are two main options available for you to type or enter text on the Galaxy Note 4, using either the touchscreen QWERTY keyboard or by speaking your text inputs. Generally, you can enter texts/commands on Samsung Galaxy Note 4 in a number of ways. You may use Google Voice Typing, Samsung Keyboard, Swype and other text input methods offered. And this article will walk you through using each of these methods and options available for entering text on the Note 4 device. As we've mentioned earlier, there are several text input methods available on the Galaxy Note 4 including Samsung keyboard, Swype and Google voice typing. The Samsung keyboard will let you enter text by tapping keys on a virtual QWERTY keyboard. The Samsung keyboard integrates an optional feature called predictive text, which matches your key touches to common words. It's like when you type in keyword on Google's search bar, when you will be prompted with matching keywords for you to select or insert it into your text. Swype, on the other hand allows you to enter words by swiping acroos the virtual QWERTY keyboard on the phone. So instead of tapping each key, you will just use your finger to trace over each letter of a word, or tap letters to enter words/phrases. 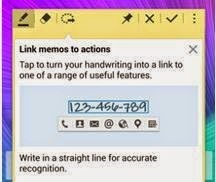 Another method is through Google voice typing, which will let you speak your entries. To set a default text input method, all you need is to configure the Settings or set it ON at any time while entering text. 3. Select Language and input. 5. Select a default entry method you like. 1. Drag down from the top of the screen where you can enter text, to open the Notification Panel. 2. Tap Choose input method. 3. Select a text entry method you prefer to use. 1. Open the notification panel by dragging down from the top of the screen where you can enter text. 3. Select Google voice typing. 4. Speak into the microphone. You should then see your text being entered onscreen as you speak. If the text you said or entered is incorrect, then simply tap the backspace key to erase the text. 5. Tap Done, when your finished entering your text. The onscreen keyboard will now display. If you use Google Voice typing as your text input method, you can choose a language from the menu located at the top of the Speak now area. To assign or set a new language via the Google voice typing menu, just tap Add more languages. 4. Tap the Settings icon (wheel-like icon) next to Google voice typing. 5. Make necessary changes on the settings as you desire. Backspace. Tap on this key to delete or erase incorrect characters. To delete a whole word or field, just touch and hold this key. Arrow up. Tap on this key to change the case of the text. You will see the arrow appears blue when the key is touched. To switch to all capital letters, tap this key twice and you will see the key will turn blue. Symbols key. Tap on this (Sym) key to switch to a symbols keyboard and enter symbols using any of the two symbol keyboards available. If you have selected more than one language in Samsung keyboard settings, just swipe your finger over the Space Bar (language) key to switch between languages. If you want to switch to Google Voice typing to enter text by speaking, tap the Google Voice icon (microphone icon). 3. Tap Language and input. 4. Tap the Settings icon (wheel-like icon) next to Samsung keyboard. Another option you can use to enter text on your Galaxy Note 4 is through Swype. This feature allows you to enter words by tracing over the letters on the virtual QWERTY keyboard. So instead of tapping each key, you can just use your finger to trace over each letter of a word or tap letters to enter words. With Swype, you can use the next-letter prediction and regional error correction features to compensate for tapping the wrong keys on the virtual QWERTY keyboards. 4. Now swipe your finger continuously over the letters to form a word. You should then see the words matching your pattern shows at the top of the Swype keyboard as you swipe over letters. You can tap a word at the top of the keyboard or tap a word at the top of the keyboard to enter a word. Backspace. Lets you delete a single character by tapping on the key. To delete an entire word or field, touch and hold the Backspace key. Arrow up. Lets you start a word with a capital letter by tapping on the key. To enter all caps, tap this key twice. Note: Swype starts with a capital at the beginning of text by default. To switch to a symbols keyboard, just tap on the Number (?123) key, and then tap keys to enter symbols. 1. Tap Apps from a Home screen. 4. Tap on the Settings (wheel-like) icon next to Swype. And that would be all for this guide. A more detailed guide on each of these text input methods with Samsung Galaxy Note 4 will be provided soon in this site, so please keep posted.